I don’t look forward to the daily workout. Today, on this 44th day of eating cleaner and implementing intentional, repetitive body movements with the desire to feel better……. I almost enjoyed the gym. I was close to thinking I wouldn’t die whilst on the recumbent bicycle. I even almost did 17 stomach crunch things on this weird machine. I’ve been asking God to help me hate exercise less. Not joking, though it looks funny to type it out. I’ve also asked him to help me not like potato chips. And to keep my hands out of the Keebler cookie bags that sometimes find themselves hiding under my car seat. I can ride the cycle for 35 minutes without feeling as though I’m stroking out. I even once rode 11 seconds more than I intended to in my workout, before I noticed I could quit. I haven’t had a potato chip in more than 44 days. I’m sure Lay’s can feel the drop in sales in my town. And I can count on one hand how many times I’ve accidentally adopted a lonely bag of chunky chocolate chip cookies (and it’s closer to 2 than to 3). Making my way, three steps forward and two steps backward sometimes, but know that I’m headed in the right direction. Thank you, Jesus, for helping me on this journey! Today marks 1 week of being on a modified Daniel Plan type of new eating life-style. And I want a frozen Totino’s pizza. I’m not hungry! I just had a full lunch of homemade chicken soup with gluten-free noodles and a gigantic plate of salad. H-U-G-E. Piled with fresh chopped veggies. But it’s raining outside, which physically looks like the inside of me right now. Normally, I would fix that with a steamy cup of coffee (who doesn’t love to curl up on the couch with a book and a good cup of joe when it’s raining cats and dogs outside? ), but I can’t have anything sugary or really cream-er-y, so I’m not gonna. Not a fan of black coffee yet. My next go-to quick fix, would be something like chips. Or a Totino’s frozen pepperoni pizza. Have you ever had those things? A Totino’s. Don’t be all posh and say “Ewww….no!”. Those little processed discs of wheat and preservatives are quite delicious. Especially if you bake them an extra minute or two so that the crust is extra crispy. They have a good amount of tomato sauce on them, which is like a sweet, warm filling in a crispy, salty shell, covered with mozzarella cheese substitute. That’s what the label calls it. Substitute. One of the things I’ve learned from the Daniel Plan book is a rule so simple, yet, so easy to follow when planning for meals and snacks that are healthier. Look at the ingredient labels on products. If the list has more than 5 ingredients, you probably shouldn’t eat it. And all of the ingredients listed should be words you can pronounce. For instance, when I buy canned tomatoes, a good ingredient label has tomatoes, water, salt. That’s it! There should be no added sugar, or sugar substitutes, and no preservatives. Easy, right? As you can see, Totino’s doesn’t have a placecard at my Daniel Plan table. Is it okay to mourn this broken relationship? And here is the heart of the Daniel Plan. Remember I said I feel like I need comfort food? Why do I feel like that today? I can excuse it away and say it’s because of the dreary weather outside, but come on — I promised transparency, right? It’s been a very high-gear 2 and a half weeks in our home. High activity. High stress. Things have been out of the normal, schedule-wise. Yet today is the last day of Christmas vacation, and our house is quiet. Settling. We’re all a little bit tired in our house, and a little bit down about having to go to bed early so we can get up early for school / work / life. We have house guests whom we miss. We are having to tie up our carefree, frayed lose ends, tucking them in nice and neat for the new year’s first full week. We’re sad we have to set our alarm clocks for 6am. It has also been a few weeks of sickness and death. Flu and pneumonia and bronchitis are running rampid between friends and families. Several loved ones who’ve bravely battled terminal diseases – some for years, some for only weeks – have been healed and welcomed into their eternal home. That’s hard. Real hard. What an emotional conflict that is. Happy for those welcomed into Jesus’ arms – but here, mourning, remembering, longing, waiting…wanting to console hearts that grieve. It is also a time marked with change. Change is inevitable, you know. Whoever said “the more things change, the more they stay the same” must have been running on excessive amounts of high fructose corn syrup. The way I see it, when things change, they change. That’s that. It is what it is. The very deffinition of change is that it is different, not the same. I have a beautiful friend who is facing uncertainties soon. The unknown. Change will definately occur. This doesn’t mean bad will happen. Nor does it mean good. Just change. And for the week ahead, my heart is heavy for her. Now, it makes no sense that any particular type nor amount of food would bring true comfort to any of the things that are weighing on my mind this evening. Right? I mean, that Totino’s would be tasty, but the euphoria of engulfing a whole pie folded in half (I always called those calzones – ha!) would not really bring any comfort. But do you know what can? Prayer. Interaction with the Heavenly Father! Jesus, my friend! Is not He where true comfort comes from? Friends out there on the other side of the computer screen – I thank you for your encouragement – and I want you to know that the primary focus of learning how to live healthier through the Daniel Plan is by incorporating prayer into this whole thing. Prayer! Jesus supplies everything we need. Every.Single.Thing. Need comfort? Stop with the junkfood. The comfort food. Turn to Jesus. Don’t you know He is not just on standby for the big things? He wants to be a part of every thing. Every. Single. Little. Thing. 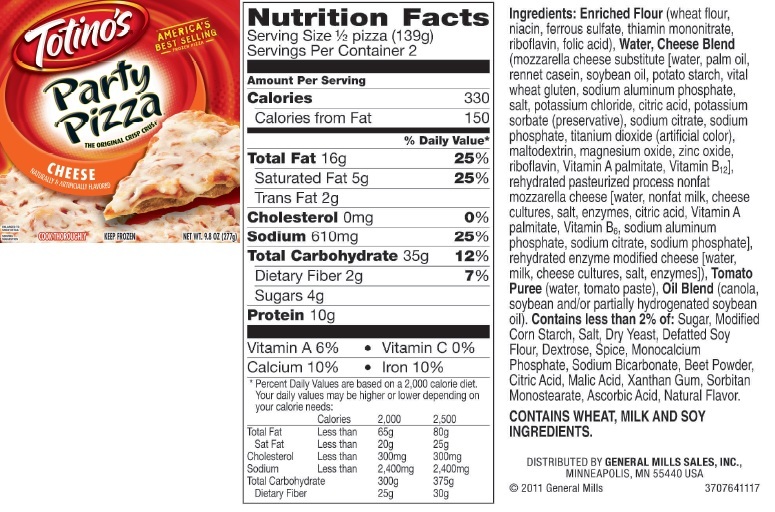 So as I’m craving a Totino’s Pizza, it’s okay for me to cry out to Jesus, and tell him like it is! Today in prayer, I asked for my Heavenly Father to cleanse me of my sinful nature, to forgive me, to take away my quick judgement of others, to help me specifically in listening to and obeying His will for my life. I prayed for Him to empty my house and fill me up so that I could share His love the way He desires. After church service, I asked my 9 year old where he would like to eat for lunch. Since it was just going to be the two of us, I thought it would be a nice treat to let him decide. Understand, I was prepared for my least favorite dining establishments to surface as his die-hard top choice. Any of you out there with children or grandchildren, or even younger siblings, know where I’m going with this. My idea of a yummy Sunday dinner does not include places where you can fill up your truck with diesel, buy that roll of paper towels you’ve been needing at home for 3 days and sit down to a dinner of chicken fried steak before picking up your dessert candy bar on the way to the check out register. It also doesn’t include places with sticky tables, 74 flavors of pancake syrups and a row of “drop your quarter here to win” machines. So when he said, ‘CiCi’s Pizza!”, I quickly agreed. It might not be a restaurant in my top ten list, but it was in his, and a far better choice than some of the other places that share a position in that same list. The fact that I only had $13 dollars in cash in my purse also made it easy to say “yes” to CiCi’s. You might think that’s the blessing I’m getting to. But it’s not. I was, however, very thankful. 11:15am – we arrived. I must say, if you’re going to CiCi’s on a Sunday after church, it’s good to get there early if you can. We were the first patrons there, and it was a very different, wonderfully pleasant, experience than what I’ve had there before. The floors and tables were all shiny and clean. The food, all fresh and hot. As a matter of fact, upon entrance, we were asked if we wanted any particular types of pizzas, because they would be happy to prepare them for us. Customer service at it’s best! We ate like royalty, selecting from a number of pizzas that seemed to be cooked “just for us”. It was quiet. It was peaceful. Words I’ve never before used to describe this restaurant. It had been years since I had last been there to eat, but I must confess now, I look forward to going back with the whole family one Sunday after church. What? I know you don’t want me to talk to this man! Father! How can I go talk to him? You know that’s not something I’m comfortable doing. I continued to sit at my table, as my son voraciously plowed through his dessert rolls and brownies. He was clueless as to the battle I was having. I wondered, “Could that be the Holy Spirit nudging me?”. his shirt inside out. How do I know if he even speaks english? What if he’s not a Christian? How can I just go talk to him? Another 5 minutes went by, with me trying to convince myself that I should not go talk to this man who clearly the Holy Spirit wanted me to engage with. at him! He’s not even taking his hat off at the table. That’s so disrespectful. At that very moment, the man removed his hat, and held it down in front of his face as he blessed the meal before him. It was undeniable now – I was definitely being told to go to this man, and it was not an option for me not to do just that. My Heavenly Father gave me a directive, and shot down my excuses when he allowed me to witness this. LOUD AND CLEAR, I was given the command again. in cash I have, plus the 5 cents I dug out of the bottom of my purse. What am I supposed to do? As I waited for directions, I watched as the man very carefully cut into his salad. Was he as solemn as he appeared now, or was he lonely? What was his story? Why was he homeless? man a pack of flower seeds? No answer came. No directives. No clear instructions were offered on what I was to do or say to this man. Nothing. My son was enjoying far too much root beer. We were beyond finished with our dinner. It was time for me to obey, or time for us to leave. I told my son to stay at the table and that I would be right back. Me: Sir, do you mind if I join you for a minute? The man: No, no, just move my things over there and have a seat. As the man looked up at me, I instantly saw his cleanliness. His eyes, sparkly and blue, conveyed a warmth that I hadn’t seen beneath the brim of his hat earlier. This man whom I had thought of as unkempt and dirty, now looked refreshed, well-groomed, and so kind. traveler, and he carries his guitar, too. The man: (as he touched my hand) Praise the Lord! As it turns out, Joe is indeed a traveler, but he is not homeless. He left his home back in California in January of this year. Joe is on a journey. One he says has taken him years to begin. Joe is 68 years old, and in obedience, is walking from “sea to shining sea”. Yep! He’s walking from California to our side of the country, and up the coast. In doing so, he’s relying on God to direct his paths to people he can share the love of Christ with. Joe and I only talked for a few minutes, but during that time, we shared as brother and sister, we prayed a prayer of thanksgiving, and encouraged each other to continue in our walks for Christ, no matter how difficult it may be at times. And we delighted in the joy that comes from obedience. My youngest son didn’t do as I had asked, and after seeing me engaging in conversation with Joe, came over to introduce himself. It was a real gift to be able to share this experience with my son. I prayed this morning for my Heavenly Father to cleanse me, to forgive me, to help where I am weak and to lead me in how to be obedient to His will for my life. Praise God, My Father heard me, and he answered me! All this time I didn’t understand how I could bless this “homeless man”…and as it turned out, Joe was to be a blessing for me. I’m so happy I was obedient today, because when we are obedient, we don’t miss the blessings God has planned for us. And, oh boy, does He have blessings lined up for us all! Last Monday morning, after the kids had been dropped off at school, I turned the radio off and enjoyed a quiet “conversation” with my Savior. We do that a lot – “talk” in the car. After praises and prayers, I turned the radio back on and cranked it up loud, enjoying “The Voice of Truth”, by Casting Crowns. During an instrumental part, a thought came to me as quick as lightening. I’m going to start keeping a prayer journal. As quickly as I thought that, I was interrupted by a negative. That’s dumb, I can’t possibly write down everything I need to pray about – there’s so much I pray about throughout a day! I might forget to write down something important! If there’s one big thing that I have to work on, it’s definitely the self-doubt. I doubt everything, at some point, and I do not like that. Not. One. Bit. Did you get that? ! Did you catch how our Heavenly Father smiled at me through the face of my precious little boy at that very minute?! In an instant, I knew that my Savior was confirming His presence with me earlier that morning and showing me that I don’t have to think twice about that silly self-doubt. He liked my idea! So I did the same thing – I told my son what a neat idea that was and how happy I know God is over his choosing to use his new Star Wars Moleskine that way. You’ve heard that saying before…”Stop, Drop and Roll”. You may have learned it when you were very young, like I did in elementary school when the local firemen visited our classroom to teach us the importance of remembering this life saving phrase. I didn’t really understand the importance of those words when I was younger, but the phrase was so catchy that I held on to it and gained a better knowledge of what it meant as I grew older. Thankfully, I’ve never had to put the phrase into action, but I think I could if I was ever in a situation where it was needed. Those firemen taught a fundamental lesson and did so very well. God has been moving in my life, and things that I’ve been taught or heard over the years are coming to life left and right. Praise God! It’s like a light switch being turned on! That’s how I woke this morning. In the pitch dark of my bedroom, before I even opened my eyes, I was reflecting on and thanking God for all of the opportunities He’s given me recently, and that’s when it came to me – Stop, Drop and Pray. Just yesterday, while standing in the parking lot of WalMart, I met a man. I’m going to call him Mr. Calvary Baptist Church, because I can remember that instead of his name (I’m terrible with names, and I’m not in denial, but chances are if I’ve met you, you hold a special moniker, too). I really thought, upon hearing this man’s voice across the way, that I knew him. I really thought, upon seeing his profile, that I knew him. Excited to share with him some good news, I grabbed a flyer to an upcoming event and called to him. As he came closer, I realized that I didn’t know him at all! Wow! That was a hearing AND sight blooper, but that’s another blog for another time. Moving on. This normally would have embarrassed me, but now, so many things that would have done that before just remind me it’s an opportunity. Within moments of our introduction, I had made that statement we all hear so many times, “Will you pray for _________”. You fill in the blank. I’ve asked people to pray for my mother, our President, a stressful situation I was facing, a friend’s sick husband, for clarity…….and so on. And without batting an eye, this man who I had only known for seconds, put his arm around my shoulder, and right there in the parking lot of WalMart, in the middle of the day, front and center to the entrance doors, he began to pray. Stop, Drop and Pray. STOP DROP AND PRAY! I get it, Lord. I hear you! Why has it taken me so long to understand this? I’ve been doing this recently, and didn’t even know I was doing what has been taught to me all these years – what I’ve seen around me. Other people have prayed on the spot when I’ve asked for prayer, but yesterday’s opportunity connected the dots for me. Instead of agreeing to pray for someone when they ask me to, at a later time, I am going to pray right away, with them, if I can. There are so many needs, and so many things that need to be prayed over. I’ve tried to put them aside oftentimes until they accumulate and I, within a structured timeframe, pause to remember the list and pray at a “more convenient time”, or a “more private time”. There’s nothing wrong with that – God wants our prayer and our conversation always, in all ways. But today, I wake with a desire to address prayer immediately…to slow down and bring things to God in real time…to stop putting prayer time in a box and keeping it closed…. Thank you, Mr. Calvary Baptist Church. I wish I could tell you how much the opportunity to meet you yesterday has meant to me! “Stop, Drop and Roll” may be a life-saving phrase, but “Stop, Drop and Pray” is a saved-life phrase. Now I have to go put it into action!